The following information is offered as a service to our 80 Series Owners Online members and reflects the group's direct experience. It is important that you browse the Updates page for the latest information. Some nice things people have said. There has been a continuing stream of owners of 1990 - 1994 1HD-T (12 valve turbo diesel) with big end bearing failures. 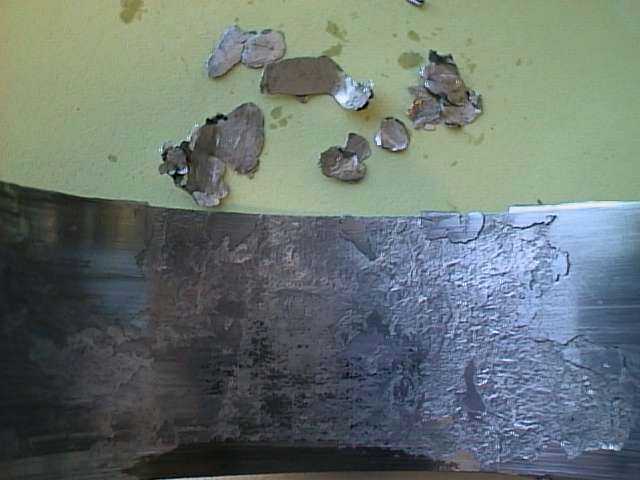 There is evidence of flaking or erosion in the big end bearings. The symptom is a ticking sound and sometimes a slight drop in oil pressure over a period of time. Unfortunately, this can't be ignored as the consequences can be very expensive indeed. As the bearings fail, the conrod/piston assembly is free to travel further up the bore and as a consequence, the ticking sound is caused by the piston touching the head. 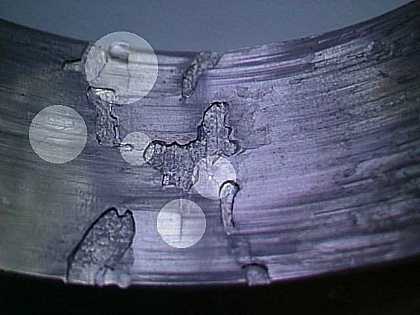 This symptom is indication of imminent and rapid failure of components other than just bearings. Bearing material may also be evident in the sump oil when drained during an oil change. It may be prudent to check the oil at each service. There does not seem to be any pattern relating failures to driving pattern, vehicle options (auto/manual, weight) or environment. There have however been two high mileage vehicles running on synthetic motor oil from new that have had big end bearings in excellent condition. We are in contact with a number of workshops in Australia who will rectify the problem for minimal cost (approx. 4 hrs labour + bearings, gaskets etc) and we suggest owners of 1HD-T powered 80's have their motors checked. Especially those that have covered more than 100,000 km. In fact, as a result the group's experience, it is suggested that the big end bearings be checked on a regular basis. For most vehicles, it may be prudent to check the bearings every 100,000km (at the same time as the suggested service interval on the timing belt). Toyota dealers are also aware of the problem and have in the past checked and replaced bearings at no cost. So far there is a history of 70 motors checked and few had serviceable bearings. Of those that failed, some had suffered extensive damage due to spun bearings or broken conrods/block etc. 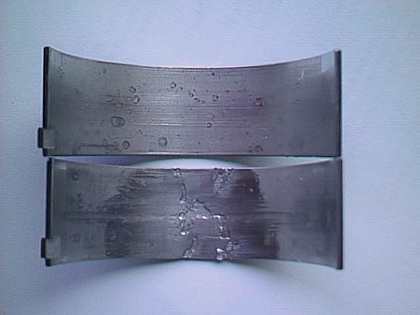 In all cases, there was no evidence of failure or premature wear on other component bearings. Of interest is that almost all vehicles were serviced as per the service schedule by qualified service companies and/or approved dealer service agents. We would also suggest that you do contact Toyota to alert them if yours has suffered bearing problems. From the group's experience, Toyota Australia have been doing their best to rectify the problem and pay for repairs. Your vehicle however must have an unquestionable service history. Any bearing failure can often be attributed to poor servicing. 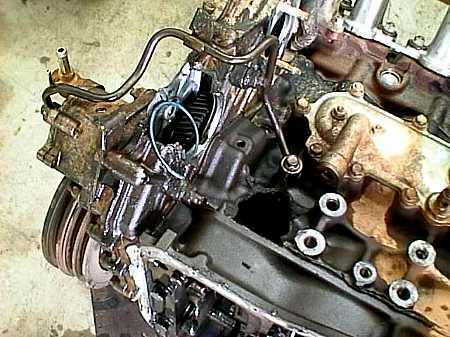 There are also instances where bearing failure has occurred and repaired by Toyota dealers and further failure of other components, particularly crankshafts, have occurred some 40,000km to 80,000km later. To date, Toyota have been reluctant to pay for these repairs often quoting that the vehicles are well outside the warranty period. If repairs were carried out properly, one would expect a 1HD-T crankshaft to last longer. In our experience, the frequency of failure is significantly higher than the other engine variants offered in 80 Series LandCruiser. Photos from a recent vehicle to be checked. 1/92 HDJ80. One owner since new, serviced regularly, and used as normal transport (no hard work or towing). Motor still running well with no unusual noises etc. Shots of No. 2 cylinder, although all others where in similar condition. Damage to conrod slipper (bottom one in picture). No real damage to cap slipper. The bearing is overheating and the base material deforming under the shock of the power stroke. Close up of damage. Note upper highlighted area shows a piece of bearing material flaking away from backing. Other highlights show fractures where this seems about to happen. 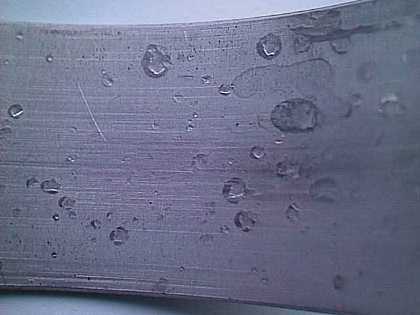 Cap slipper with only damage being slight marking from flakes being embedded. Result of bad big end bearings gone too far. Conrod broke through the block and smashed timing case. This represents the combined *opinion* of the group and should be used as a guide only, as to what is known/possible with 80 Series, as adjustments, technical tips, and accessories. It is in no way definitive, nor authoritative, nor even all encompassing - it is the experience of the users of this online group - to date -and it is constantly being added to. "The management of this Web-site disclaims liability in any area of the law of any country for any claims made by any person for compensation or other redress for damage or loss (including consequential damage or loss) arising out of the use information or material made available at this site or through links at this site to other internet sites."